I am sure so many of you are already aware of Tropic Skincare as a brand but just in case it has passed some of you by I just wanted to say a little about their ethics and values. Tropic is a 100% Natural, Cruelty-Free & Vegan company who base themselves out of their Surrey beauty kitchen & warehouse. They endeavour to keep as much of their processes in-house as possible, from development to manufacturing and marketing to dispatch. They produce effective products at such a reasonable price and they never, ever compromise on the quality of ingredients they use. I’m excited to introduce you to the Tropic Skincare 4 piece Sun Care Kit. This kit includes their mineral suncare saviours in handy travel-friendly sizes. There are currently two types of sunscreens on the market, ‘chemical’ and ‘mineral’. Chemical sunscreens absorb UV rays and convert them into heat energy on the skin. Mineral sunscreens use natural actives to act as a physical barrier to UV rays. Tropic’s no-negotiations ban on harmful chemicals paved the way to developing a game-changing range of 100% mineral sun protection heroes your summer wouldn’t be complete without. Harnessing zinc oxide and titanium dioxide to protect your skin against UVA and UVB rays, as well as an abundance of skin-boosting tropical ingredients, these luxury sunscreens are summer essentials. Tropic sunscreen is gentle on your skin as well as protecting you from the harmful UV rays (which are linked to skin cancers) so your skin is in good hands! I live in (sunny) Cornwall and spend a lot of time outside so this kit is perfect to take with us in the car & the ideal size to keep one of the sunscreens in my bag for reapplying throughout the day. Included in this Sun Care Kit are cabin-friendly 100ml versions of Skin Shade Mineral Sun Protection in SPF 30 and 50, as well as Sun Soothe Cooling Aftersun Lotion – so it is ideal for taking with you on your upcoming travels. These smell just like the summer holidays and I love it. Despite them being mineral sunscreens and quite high factors they’re not too thick and once massaged into your skin feel smooth and lightweight on the skin. The SPF50 is a touch thicker and when applied has a slight white cast but after a couple of minutes that completely goes away. These are both broad spectrum and water-resistant so if you’re off on a beach holiday you will be set! You can use these on both your face & body and I found them gentle on my skin and they didn’t break me out. They also wear well under makeup. 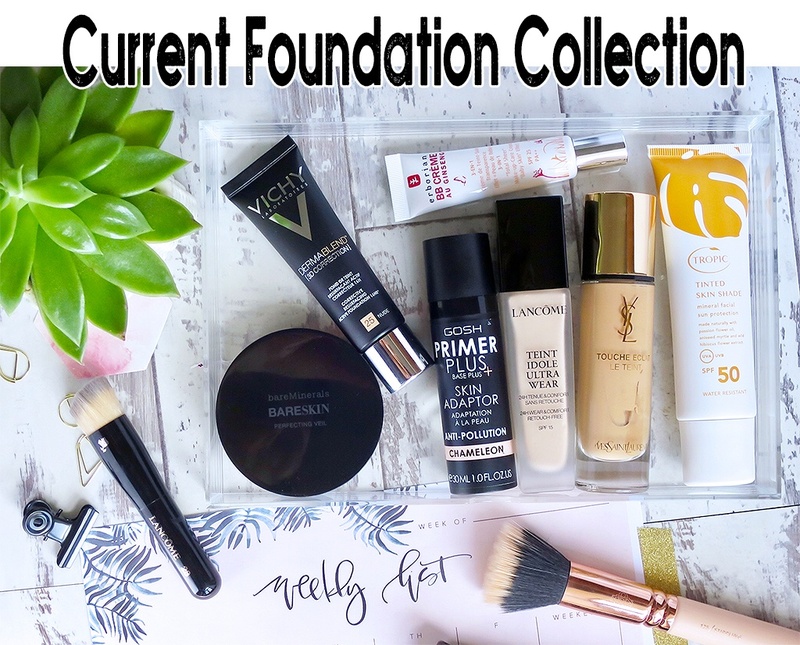 Although if you’re looking for a tinted SPF for your face then you need to try the tinted version, The Tropic Tinted Skin Shade SPF 50 – this is fantastic and a great makeup/skincare product. This is such a versatile, handy little product. I have been popping this into my handbag and taking it everywhere. It is a balm which can be applied pretty much anywhere including the ears, lips, face, feet or even your hairline. All those places that are exposed to the sun all day and are more prone to burning. I like to apply this throughout the day, or even if I’m just popping out for lunch or a quick walk I will apply this to those exposed areas. I always worry about my lips and ears burning so have been slapping this on at every opportunity. It is a fantastic product to have to help protect against sun damage and contains natural ingredients which help soothe, heal and shield the skin from UVA, UVB and free radicals. Because this comes in a balm it won’t leak in your bag and is fuss-free and very easy to apply. It isn’t thick or tacky and you can reapply it super easily. Apart from a cold shower, what feels better on the skin after a long day in the sun than a nice soothing after sun lotion!? Replenishing your skin after being out in the sunshine is almost as important as protecting yourself whilst in the sunshine. This Sun Soothe not only relieves redness it hydrates and nourishes sun-parched skin whilst also prolonging your natural tan. It instantly cools and feels comfortable and lightweight on the skin. This is one post-sun skin saviour that will keep your skin in tip-top condition. A recent statistic shows that 4,000 – 6,000 metric tons of sunscreen washes off swimmers into the ocean every single year*. It’s also no secret that ingredients found in some chemical sunscreens have been linked to the bleaching of up to 10% of coral reefs across the globe, while also inhibiting the growth of baby corals*. These same ingredients have also been identified as hormone disruptors when absorbed into our bodies**, which of course, isn’t ideal when these products are applied regularly throughout the sunnier months. Tropic’s range of mineral sunscreens keeps skin protected with formulations that are truly good for you, and the environment, without compromise on efficacy. 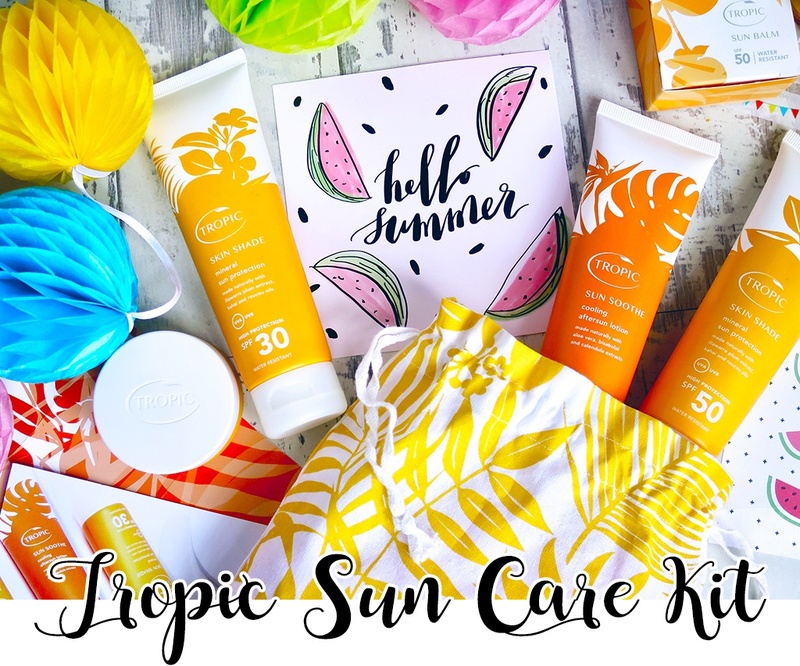 Tropic Sun Care Discovery Kit is available online from tropicskincare.com and retails at £40 or £50 with the Sun Balm added.